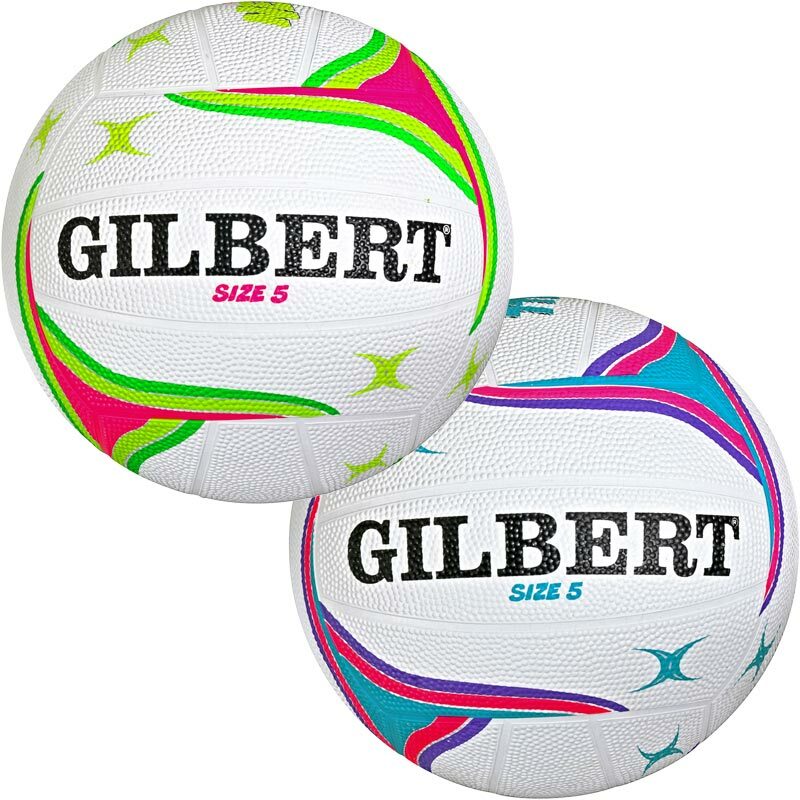 The Gilbert ® APT Training Netball is an excellent quality training netball for entry level players. Hard wearing blended rubber surface. Exactly as expected - perfect for training on all surfaces as there is no stitching to come undone (which has been my problem with Gilbert in the past). Not for me as 10th a birthday gift for grandaughter . Loved the colours & easy handliing. Great grip, amazingly colourful and very light. Fantastic service by Newitts! My new most favourite netball store!! Very happy customer! 4 out of 5 Cheap and cheerful! We ordered these balls for our High Five players-- and hey love them. Ideal for practising and cheap enough to replace when lost! My granddaughter is pleased with her new netball has been able to practise at home, ready for her school tournament. Thank you. 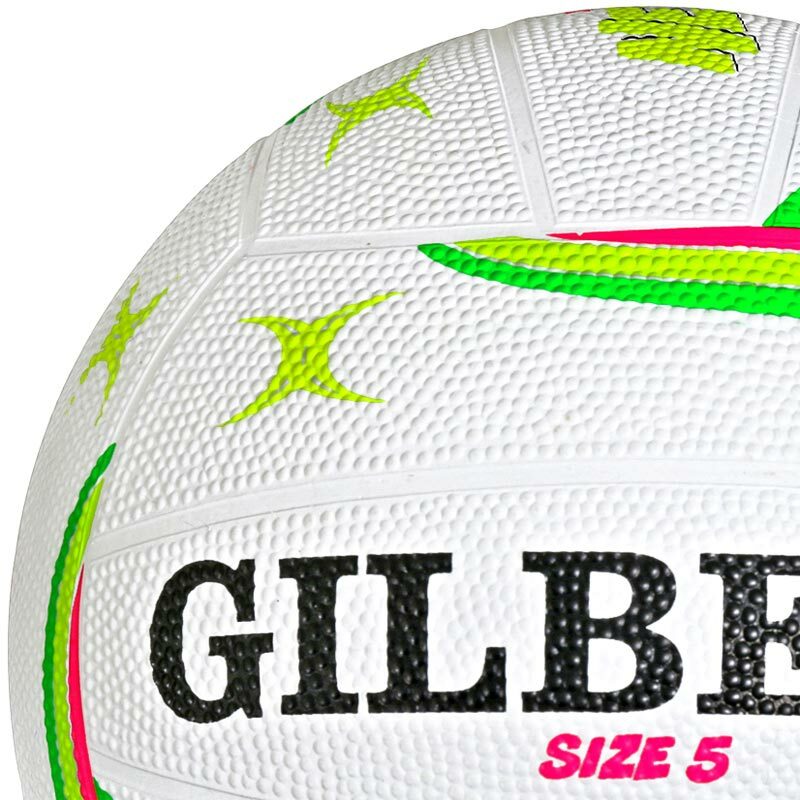 Hot pink netball looks great, very distinctive so you always know which ball is yours! Excellent price, I would highly recommend. Good grip, excellent colour for young children . The service was excellent arriving very quickly. We are very pleased with the quality as well as the service. Will definitely recommend to others. Good value balls which younger players love because of their funky design. Super quick delivery from Newitts too! Thank you. Great grip, lovely colours, ideal for all ages, 13 year old daughter delighted with her netball birthday present to go with her netball post! 5 out of 5 Great ball. A great ball for netball. Design makes it appealing to all ages. Easy to pump up & maintains pressure after regular use! 5 out of 5 Excellent! Great product, with very good customer service and delivery was prompt. My granddaughter was thrilled with her netball! Thank you. This ball is a great starter ball for primary children, easy grip, lovely and colourful and a real bargain for a Gilbert product.